With turbocharged performance you can go from immersive streaming sessions to lag-free photo editing, and do it all from wherever you want. Why buy: A laptop with the power and storage you need to go from streaming sessions to lag-free photo editing. 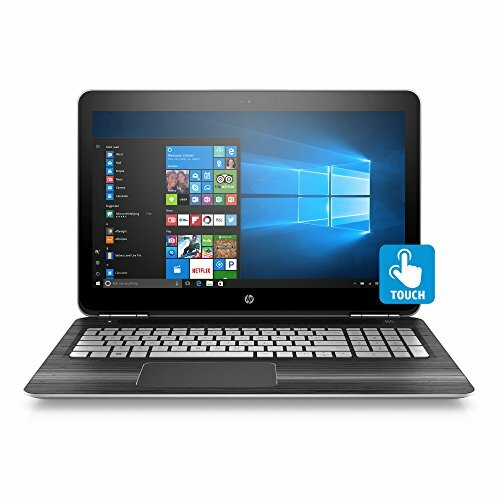 Processor: 7th generation Intel(R) Core(TM) i5-7300HQ Processor, Quad-Core, 2.5GHz up to 3.5GHz; Fast, responsive performance and more natural, intuitive interactions with your PC. Video graphics: NVIDIA GeForce GTX 1050 (4 GB GDDR5 dedicated); The power you need for a fast, smooth, and efficient multimedia experience. Display: 15.6-inch diagonal FHD (1920x1080) IPS multitouch-enabled; Control your entertainment from the screen and get 178-degree wide-viewing angles. Memory: 12GB DDR4 SDRAM; Designed to run more efficiently and more reliably at faster speeds. Hard drive: 1TB 7200RPM Serial ATA; Store videos, songs and photos on your PC for easy access. Battery life: Up to 10 hours and 30 minutes (mixed usage); Keep going without worrying about recharging.